Part of what I love about the Denver area is that it’s home to numerous very good athletes and coaches–particularly of the endurance variety. We’re also not far from Colorado Springs which is home to both the Olympic Training Center and the headquarters for the National Strength & Conditioning Association (NSCA), one of the top certification bodies in the world of health, fitness and sports conditioning. I was at the NSCA from last Friday to Sunday attending an endurance clinic. It was SUPERB! It far exceeded my already high expectations. All the speakers had volumes of valuable information. Not only did they present valuable academic information, they also told us how they applied this information in the trenches with their athletes. These guys weren’t just born as successful coaches. They’ve gone through a lot of trial, error and very hard work to get where they are. It’s very helpful to hear that type of information. We didn’t just sit and listen though. Saturday and Sunday had us getting out on the field and into the performance center to learn about strength exercises, mobility drills, and plyometric drills. I got to meet a lot of my very capable peers and I got to work out in what is likely one of the top lifting facilities on earth. It was a fantastic weekend. I’m going to give a rundown of some of the pearls of wisdom I collected on Day 1. I can’t do each presentation thorough justice, but I’ll try to highlight some of the most important things that I heard. I’ll follow up with days 2 and 3 as soon as I can. 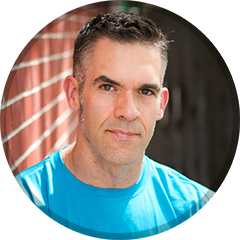 Exercise scientist, triathlete and ultra-runner who’s worked with NASA and has 14 years coaching experience. Endurance athletes are often averse to resistance training thinking it will bulk them up. He presented several studies which demonstrate that strength training enhances speed and endurance performance. Sand, snow, wind, and hills can all contribute to the athlete’s resistance training. On recovery from intervals: if you feel the effects of previous interval → you didn’t recover sufficiently. The basis of speed is strength. Several studies demonstrate that heavy resistance training and explosive training improves performance. 1-leg training is very important. Move well on 2 legs (squat, deadlift) and get strong. Food First – Don’t use supplements to make up for poor eating. He supports the lower-carb/higher-fat approach. I was very happy to see that. Why? I love that he asks “why” someone ate something. Physiologist to the US Olympic team. Overtraining–or “underperformance” as he calls it–often isn’t due to too much training. Iron is often low in women. Salimetrics – He said look for the price to come down on this. Take the athlete back to active recovery. Progress very gradually back to regular workouts. If they perform well and feel good at their first LT workout then they’re on the right road back.